Routinely selling for huge sums of money on the vinyl market and making its way into the collections of pop fanatics as far afield as Japan, Take a Picture has taken on a dynamic life of its own since its 1968 release, especially for an album that went relatively unheard at the time. 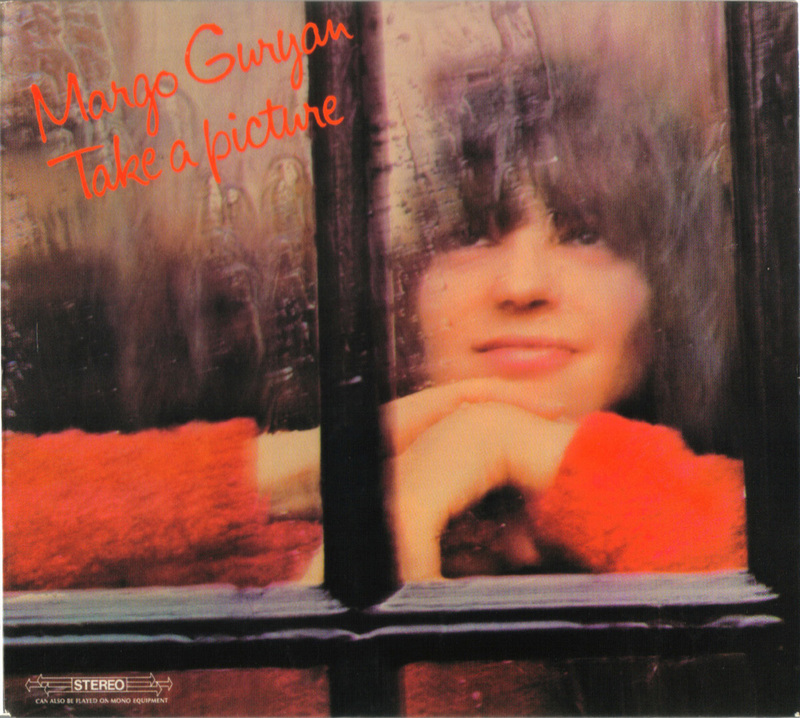 It is not difficult to figure out what all the retroactive acclaim is about once you hear the sweet, delicate strain of gently kaleidoscopic music on the sole album from Margo Guryan. It is the soft pop of which gauzy dreams are made, full of the hazy changes and transitory variations of autumn, an album that you invariably want to wrap up in. 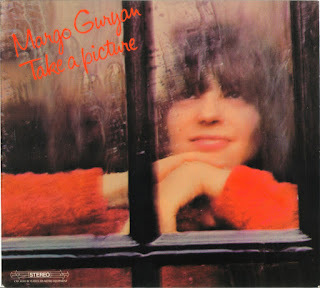 Better than most similar efforts from the time, the album maintains a vibrant resonance outside the milieu in which it was created because the songcraft is not only infectious but also highly intelligent, and because Guryan's performance is so delicious. Perhaps a bit too thin and breathy for mass consumption, her voice is an acquired taste in an era loaded with wispy pop princesses, not to mention brassy belters such as Grace Slick, Janis Joplin, and Mama Cass. Once you accept its whispery invitation, though, Guryan's singing, equal parts girl group innocence and seductive torch, envelops you. The thing that really elevates her above many of her contemporaries and competitors for the soft rock tiara, though, is her wonderfully idiosyncratic songwriting capabilities. A classically trained pianist and jazz composer by education and trade, her songs are much more than your standard pop fare. Although the song structures are simplistic on a superficial level (which should have made them perfect nuggets for commercial radio play in 1968), the arrangements beneath them are anything but. There are all kinds of intriguing things going on with or underneath the melody, either instrumentally (hammy trombones, old-tavern piano, touches of sitar) or via affect. Just when you think a chorus or hook is as ethereal as it could possibly be, Guryan tweaks it just slightly enough that it rises even higher and takes you to an even more elevated emotional plane. She manages the difficult trick of cajoling something already beautiful to something truly sublime. There is also an expert, fluid balance of juxtapositions within the music. Tempos are shifted frequently but seamlessly, and Guryan's chord progressions tend to switch from balladic choices during the slower verses to sly and unconventional jazz progressions during the quicker paced breaks and bridges, with the influence of bossa nova particularly heavy in many of the tunes. Her classical background is spliced into the mix as well, generically via the orchestral splashes of various songs, but more explicitly on "Someone I Know," where her own pop melody is superimposed over the chorale of Bach's "Jesu, Joy of Man's Desiring." The two fit perfectly, point and counterpoint, like the complex pocket symphonies of Brian Wilson, a huge influence, and far more interesting with each listen. Other highlights include her own version of "Sunday Morning," the breezily kittenish "Sun," and the tough go-go groove of "Don't Go Away," but really every song is a gem. 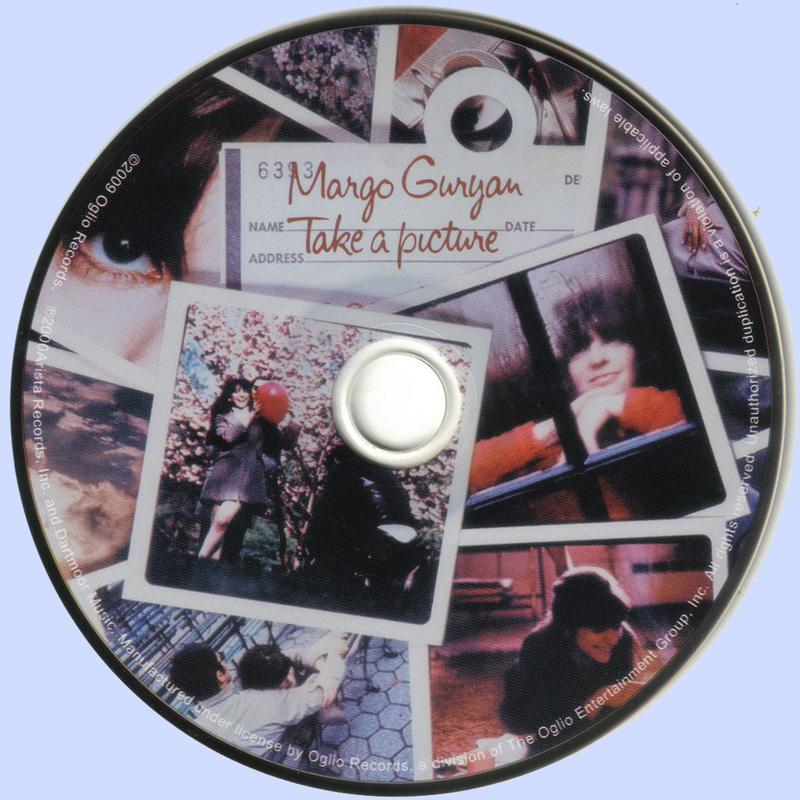 The CD reissue, housed in a handsome special edition digipak with a 12-page booklet that contains a brief biography, liner notes, and lyrics, also includes three stellar bonus publisher's demos that mark a significant addition an album that was already one of the most endearing cult soft rock records from an era full of them.